Most people own some amount of property that may be passed down to potential heirs and beneficiaries upon death, and unless the property automatically transfers full ownership to another person, the distribution of this property must go through the probate courts. 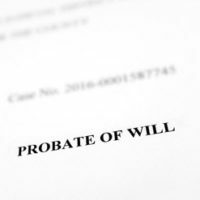 Probate is a court-supervised process under which a deceased person’s property is passed to heirs via the terms of a will or, if no will exists, according to the intestacy laws of this state. If someone does not have a will, Florida law passes the deceased’s property according to marriage and bloodline, with spouses and children receiving first preference over other descendants and more distant relations. Typically, family members come forward on their own to claim a potential inheritance, but for those without family, the situation becomes more complicated. A recent appellate court decision in a case between the Florida Department of Finance and an investigative agency who located the heirs of an estate highlights how messy probate can become if no estate plan exists. The case was concerned with the rights of the state to reclaim the proceeds of an estate that passed to the Bureau of Unclaimed Property when heirs could not initially be found. A discussion of what happens to a deceased person’s property when it appears he/she has no heirs, and how this recent court decision illustrates the need for an experienced probate attorney, will follow below. All probate cases, regardless of whether heirs are known or not, proceed in a similar manner, which requires someone to identify assets, give notice to creditors, and find potential heirs. In the case of a person without a will or known heirs, the court will often appoint an administrator ad litem (commonly an attorney) to handle the responsibilities of a personal representative or executor. The administrator will be required to conduct a diligent search for potential heirs, and this effort commonly includes looking at medical records, financial statements, photographs, and other personal effects to see if names and addresses of relatives may be found. These efforts must be reported to the court, and if deemed sufficient, but still unsuccessful at finding a descendant, the estate goes to the state. This is referred to as an estate escheating to the state, and when this happens, assets are sold and the proceeds dispensed to the State School Fund. Potential heirs have 10 years to reopen administration and make a claim for the proceeds, but after this time, the state’s right to this money becomes absolute. While Florida law gives heirs the right to reopen and claim proceeds from an escheated estate within 10 years, the Department of Finance is not necessarily ready to give up the money so easily. In a recent appellate decision, the court ordered the Department of Finance to adhere to an order from the probate court that demanded the release of funds. However, the Department first spent two years running the claim through its own legal process before it ended up before the appellate court. The court noted that while the Department has latitude to determine the legitimacy of unclaimed funds in the hands of the state, escheated funds are still the authority of the probate court, and those orders must be followed. Having an experienced probate attorney to handle issues with the state, creditors, or other heirs is crucial to achieving the desired outcome, and one should be consulted upon the death of any family member. 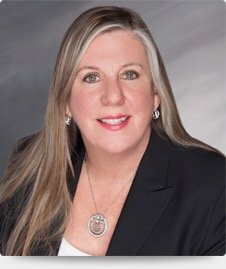 Probate proceedings are linked with high stakes outcomes, but involve adhering to highly technical rules and deadlines, not to mention the potential for disputes with other heirs. The attorneys at the Fort Lauderdale law firm of Joyce A. Julian, P.A. have years of experience providing legal representation in probate proceedings, and can help you and your family find the closure and peace of mind a fairly concluded probate matter brings. Contact us for a free consultation.